All Russian Painters represent Art in their country as it evolved through the centuries. Click on painter's name to examine his oil paintings and also learn about his biography and creative life. 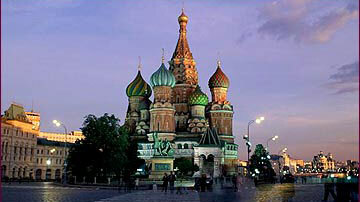 Until the 18th century in Russia fine art, the reigning artistic influence was still the Middle Ages Byzantium style. Even to this day, Russian icons, with their soulful eyes, flattened perspective, elongated features and gold highlights, remain characteristic in the region's artistic output. Repin also enjoyed a career as a portrait painter. At the same time John Singer Sargent was immersed in his celebrated career as a portraitist of the fashionable elite, Repin was painting Russian officials, artists, writers and members of high society.